The base plate of the PM851A controller has two RJ45 Ethernet ports (CN1, CN2) for connection to the Control Network, and two RJ45 serial ports (COM3, COM4). 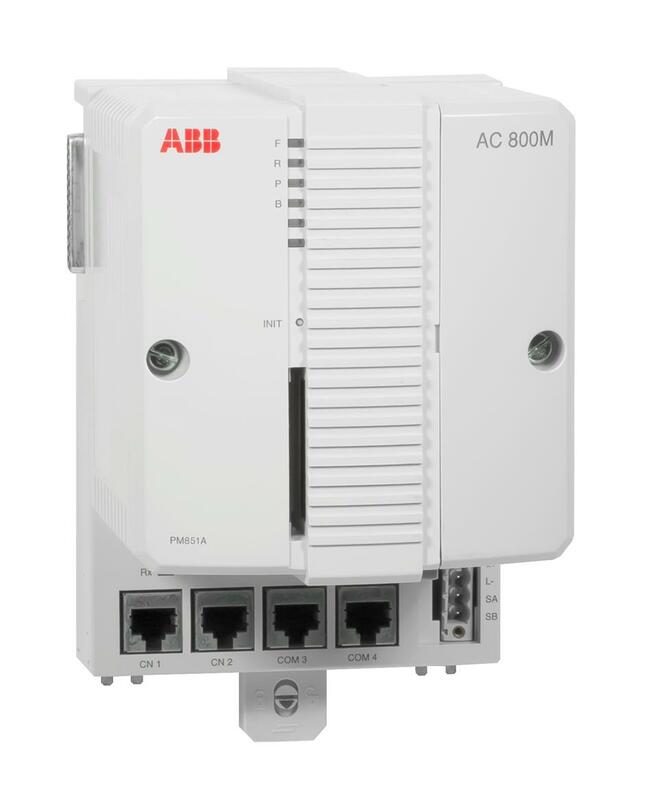 Note that a PM851/PM851A is restricted to one Ethernet (CN1) port, thus redundant Ethernet is not available. One of the serial ports (COM3) is an RS-232C port with modem control signals, whereas the other port (COM4) is isolated and used for the connection of a configuration tool.